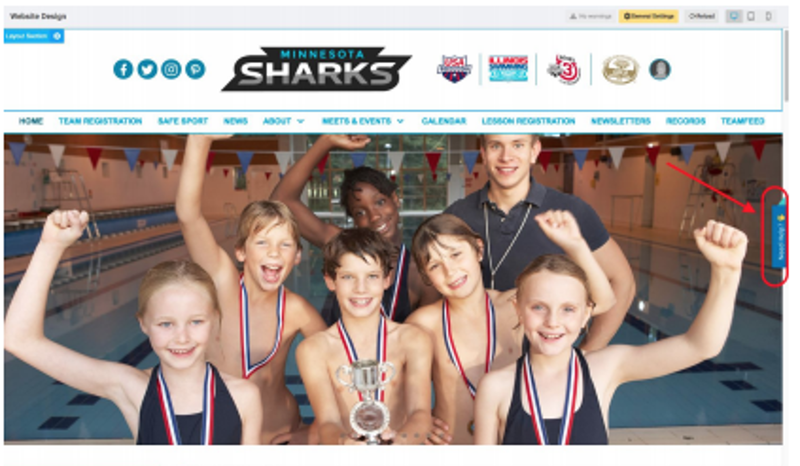 TeamUnify is excited to be bringing a new and improved payment processing experience to our customers and our customers’ members with SportsEngine Payments (SE Payments). 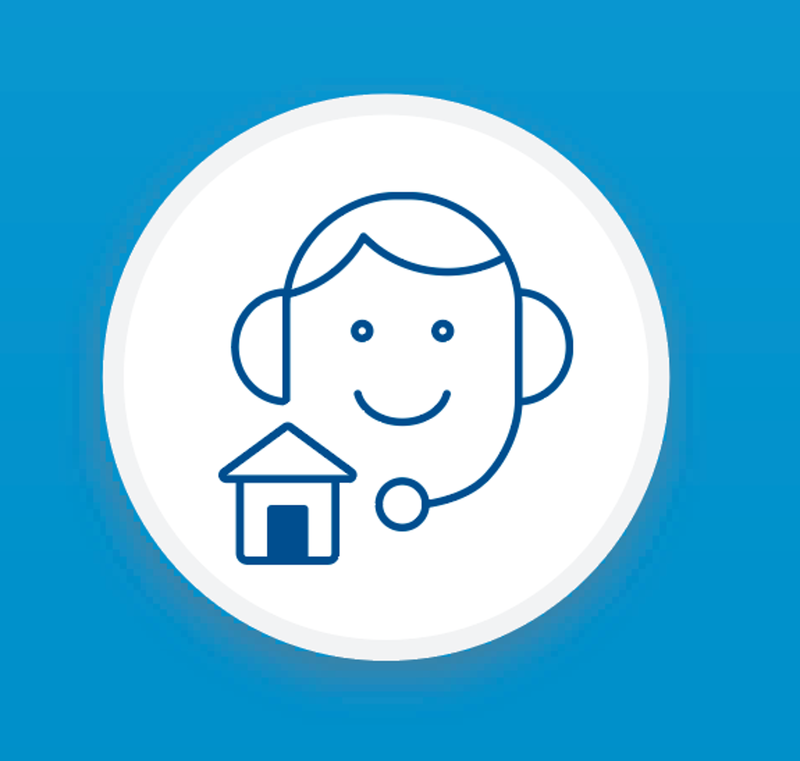 The launch of the new processor will effectively bring all customer support for payment processing in-house with the TeamUnify support team, all financial reporting will now be integrated into one hub, without needing to cross-reference multiple reports, your processing rates will NOT increase, and customers will overall experience cost savings with the elimination of additional fees charged by our old processor. 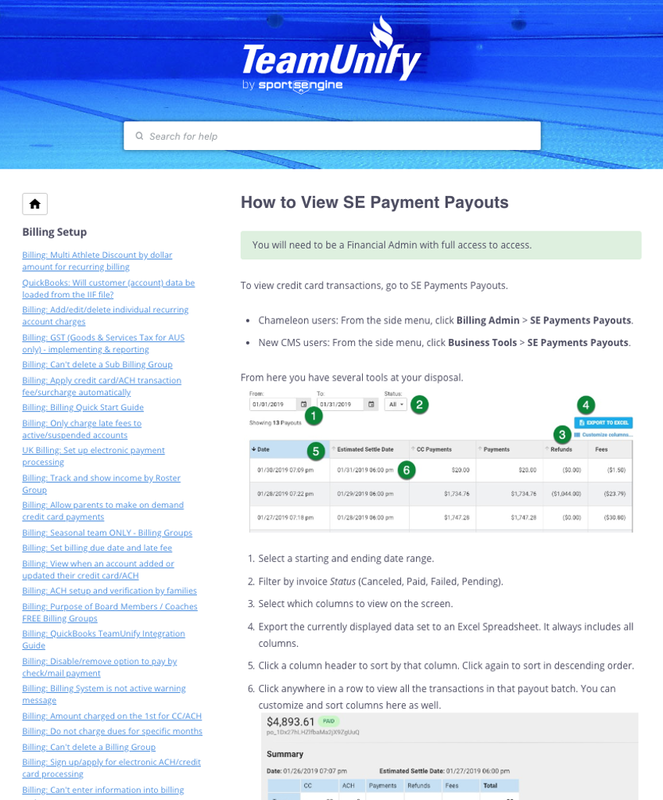 TeamUnify customers will be able to unlock the power of SE Payments beginning on April 10, 2019, by completing a simple 5-minute onboarding process. 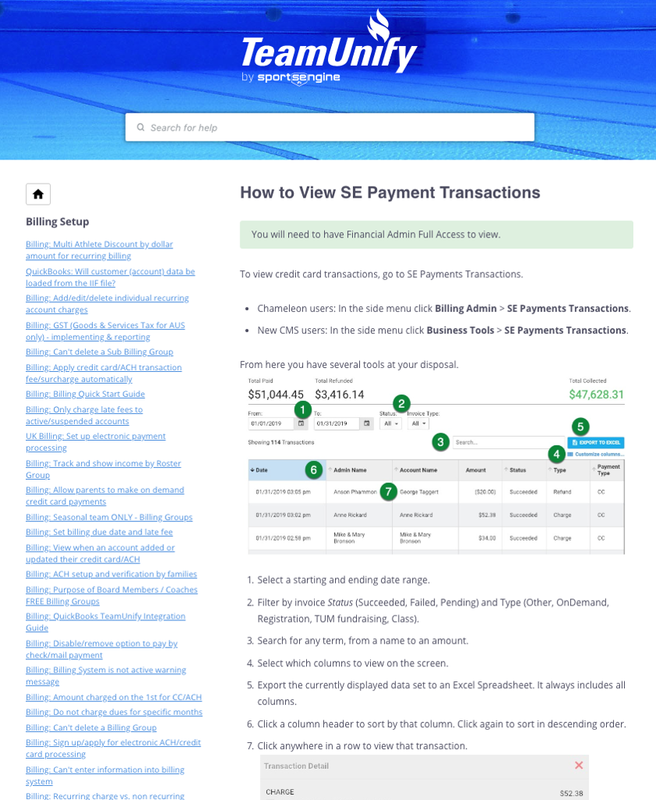 Only one Superuser per organization will need to complete the process in order to begin using SE Payments. 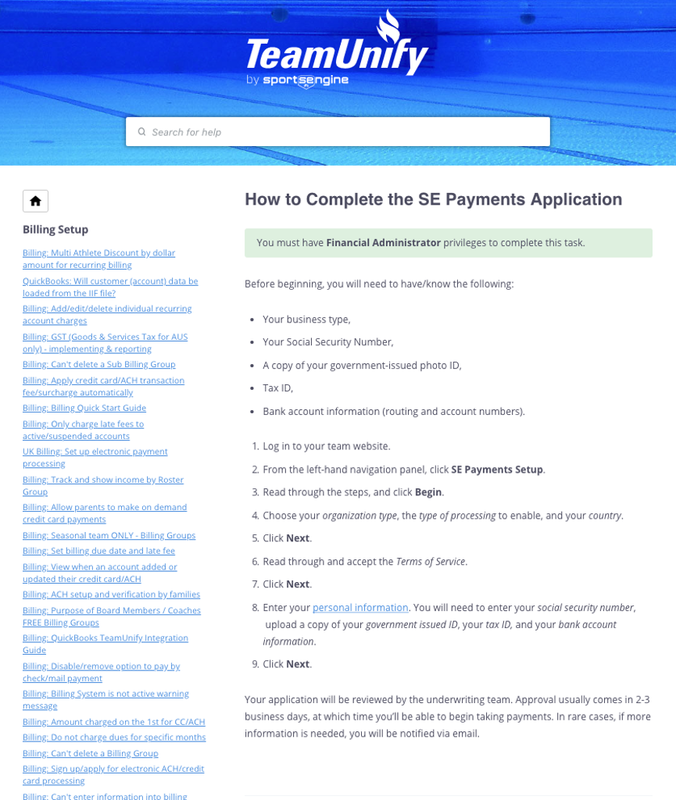 Below are some additional resources to help your organization successfully onboard to SportsEngine Payments including FAQs, a video walkthrough, and help documentation.